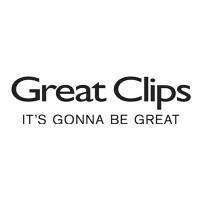 Great Clips, Inc. is a hair salon franchise business that specializes in quality no-appointment haircuts. It also offers three lines of haircare products. It is one of the popular hair salons in the United States. The first salon was founded on September 22, 1983, by Steve Lemmon and David Rubenzer, under the name Super Clips. On July 16, 1983, together with partner Ray Barton, the first franchised salon opened for business under its new name. Employees at Great Clips, Inc. receive incentives for good performance, as well as training and opportunities for career growth. Corporate employees receive health benefits, company-matching 401k, tuition assistance, and a personalized development plan. Aside from career development, hair stylists at franchisee salons also enjoy a fun environment and flexible schedule. The culture of having fun extends to the corporate office, and work-life balance is encouraged. How old do you have to be to work at Great Clips, Inc.? The minimum age to work at the salon is 16 years old. No minimum age is given to work a corporate job; however, a related degree and prior experience are expected for most positions. Careers at this company fall under two categories – Salon jobs and Corporate jobs. Most entry-level positions are within the salon jobs. Job descriptions of some open positions are indicated below. Hair Stylist: This is the one of the most important and plentiful job positions. A Hair Stylist works at a franchise salon to cut and style customers’ hair. This position requires a haircutting license. A Hair Stylist must have good customer service skill set. Assistant Salon Manager / Salon Manager: An Assistant Salon Manager or a Salon Manager supports other stylists in a franchise salon. He or she sets stylists’ schedules, and is responsible for motivation and growth of the team. A haircutting license is also required for this position. Application Development Coordinator: An Application Development Coordinator handles collaborations with the software development team and project manager who create and maintain the apps used in online check-ins and Clip Notes. This position requires a Bachelor’s Degree in Business, Project Management, or equivalent. Quality Assurance Analyst: A Quality Assurance Analyst creates effective test plans and performs functional, non-functional, performance, and other relevant tests on the software created by the development team to identify defects. Ability to perform both automated and manual testing is required. This position also requires a Bachelor’s Degree in Management Information Systems and 3-5 years of experience in Quality Assurance. Marketing Planning Specialist: A Marketing Planning Specialist helps franchisees with their marketing plans. This includes support for the successful launch of a new salon and development advertisement and marketing strategies. Applicant must have completed a 4-year college degree and have 2-3 years of marketing experience. Financial Analyst: A Financial Analyst uses financial tools and software, and performs research and analysis to support the accounting team in addressing budget and other financial issues for the company. A Bachelor’s Degree in Finance or Accounting and at least 1-3 years of relevant experience is required. Recruiting Services Specialist: A Recruiting Services Specialist assists new franchisees in finding the right people for their teams. This includes development of recruitment, growth, and branding strategies. A Bachelor’s Degree in Business or Human Resources and at least 3 years of relevant experience is required. Applicant must live in the assigned territory. Education Specialist: An Education Specialist handles the coaching and training needs of hair stylists, managers, and franchisees at their assigned training center. The Education Specialist’s mission is to ensure that all the staff is equipped to deliver on the Great Clips, Inc. brand promise. Basic requirements for this position are excellent communication skills and willingness to travel on-site. Franchise Administration Coordinator: A Franchise Administration Coordinator is responsible for coordinating legal and compliance activities with franchisees. This includes preparation and maintenance of legal documents needed in franchising, management and analysis of database information, and evaluation of a franchisee’s internal procedures and policies. This position requires excellent communication and organizational skill. Director of Franchise Operations: A Director of Franchise Operations is an active member of the Operations Leadership team, and manages strategic planning and execution in order to drive performance and growth in the assigned area. This position also manages franchisee relationships and support. Applicants can apply for any position from the company careers page. Jobs can be searched either by type or by location. All available jobs for all locations are listed, so applicants must select the correct location as well job type. Applications may be done in-store or online. To apply in-store, go to a local salon and fill out an application form. Take the time to meet with other stylists and the salon manager or assistant manager while you are there. The online application process is started by filling out a simple online form which requires applicant to input their full name and valid email address. Attaching a resume to this form is also possible but not required. If a resume is included, it should contain all relevant information needed for the particular job being targeted. Take special note of required licenses or degrees, and related experience. During the interview, refer to the information in the resume as applicable. Stay relaxed and show passion and excitement to join the team. Have a mindset of growth and learning that fits in with Great Clips, Inc.’s culture. Things To Know About Great Clips, Inc. It has a diverse and inclusive culture. Its 6 core values are the following: we are kind, we listen and earn trust, we keep it simple, we focus on execution, we exceed expectations and we make it fun. It gives back to the community through charity events, such as its annual Charity Golf Classic, which benefits children’s hospitals and clinics in Minnesota. A more recent company-wide initiative is the Clips of Kindness campaign. It is the first in the industry to create an app that facilitates online check-ins, where customers can check availability of stylists at a local salon and put themselves on the waiting list before they even go to the salon. In 2017, Great Clips, Inc. received a Silver ECHO award for its “Journey 121” campaign. The campaign gathered customer’s transaction and preference information to provide personalized marketing ads to each customer. 1 How old do you have to be to work at Great Clips, Inc.? 4 Things To Know About Great Clips, Inc.